We’d love your help. Let us know what’s wrong with this preview of The Future by Nick Montfort. The future is like an unwritten book. It is not something we see in a crystal ball, or can only hope to predict, like the weather. 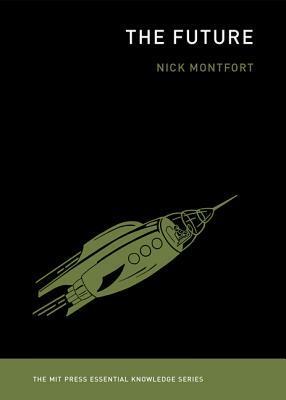 In this volume of the MIT Press's Essential Knowledge series, Nick Montfort argues that the future is something to be made, not predicted. How the future has been imagined and made, through the work of writers, artists, inventors, and designers. To ask other readers questions about The Future, please sign up. This is my first review on Goodreads and I was led to do it after reading some of the reviews to this book. I have to say that the author states right in the beginning that the book is not an history of futurology, there's plenty of other books on that and Nick Monfort even points you to the right references for that. Thus, there's no reason for the reader to though otherwise. This is an academic work from an academic writer and, taking that into account, I can fairly say that it's a pleasure to This is my first review on Goodreads and I was led to do it after reading some of the reviews to this book. I have to say that the author states right in the beginning that the book is not an history of futurology, there's plenty of other books on that and Nick Monfort even points you to the right references for that. Thus, there's no reason for the reader to though otherwise. This is an academic work from an academic writer and, taking that into account, I can fairly say that it's a pleasure to read. You pass through the book quite swiftly with engaging pieces of information on every page. The first three chapters focus on more general topics of future making, such as the Italian Futurist art movement, Utopian literature, and the contribution for future technology of the world expositions. These are the broad chapters where the author sets some general principles on future making, always focusing on the implication to the technological artifacts we used daily. The following chapters narrow the author's analysis on specific areas of our technological present and future, such as the invention of the web and the personal computer. Here you can find engaging tales of non-linear innovation and how future making exercises helped define current technology. You will be confronted with tales from the work of researchers of the like of Douglas Engelbart, Ted Nelson, and Alan Kay. As a treat, throughout the book the author offers the reader a set of 22 principles on how future making exercises can help defining shaping technology for the better. A great book for people working on technology development. Another terrific notch in MIT Press’s tremendous ‘Essential Knowledge’ belt, this one concerns how various people past, from Futurist-fascists to Internet Pioneers, sat on their rumps and scripted our presents and futures. An interesting philosophical book with each chapter exploring different facets on how the future has been, and is today, thought about by visionaries, artists and the general public. The writing was a little uneven as if each chapter had been written at different times and for other purposes. But it thematically held together and there were enough nuggets of fact and ponderings to keep my mind noodling for (wait for it... wait for it) the foreseeable future. I like the writing style but found the book inconsistent with its treatment of future. Clearly a vast challenging subject but the author chooses to look at it from a limited set of views without fully explaining any one in particular. Overall I think the problem is the format, its impossible to address a subject as vast in a small booklet. Pretty dry. Forced myself to get through several chapters. ht: this book was a gift from ceasar mcdowell in dec 2018.
this short nonfiction book is a particular slice/view of futurism from the perspective of an mit futurist. montfort guides the reader through a series of, in his mind, important moments in futurist history, particularly focusing on the ways people making futures relate to the new "technologies" of the day. as he bounces us through history, he makes a couple of really interesting points that surprisingly create a sense of agency for the re ht: this book was a gift from ceasar mcdowell in dec 2018. A fine retrospective about how we viewed the future at different times throughout civilization. Nothing spectacular.